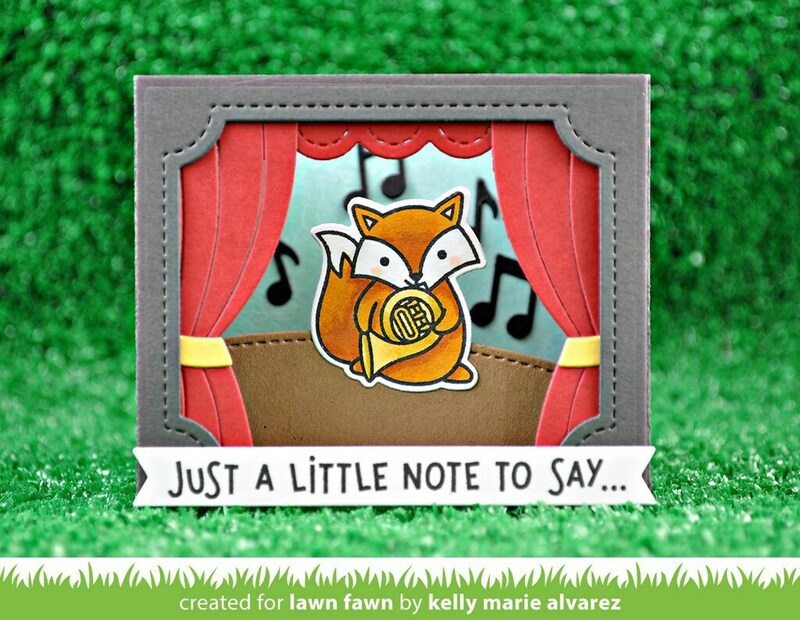 Use this add-on with Shadow Box Card to create a cool theater-themed card with lots of wow-factor. This set includes curtains, stars, and other accessories to create a show-stopping look. 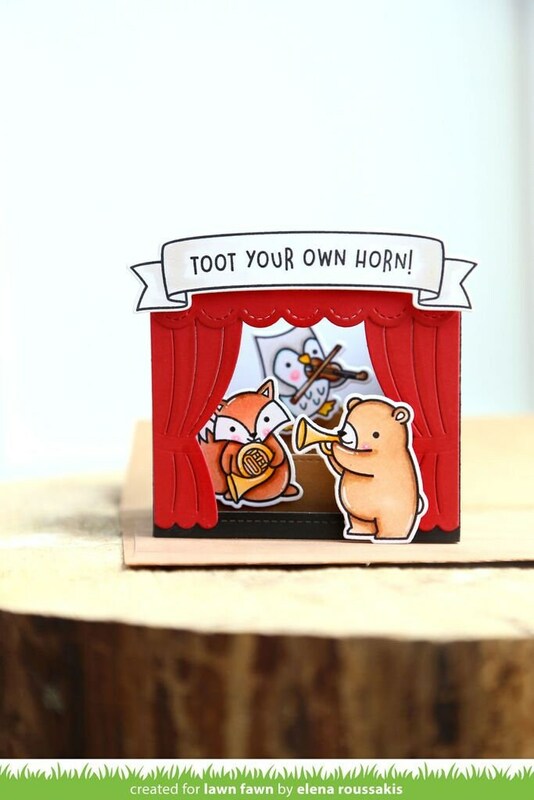 Coordinating set ideas: Use the critters from Critter Concert to create a cute scene with a critter performing on a stage! 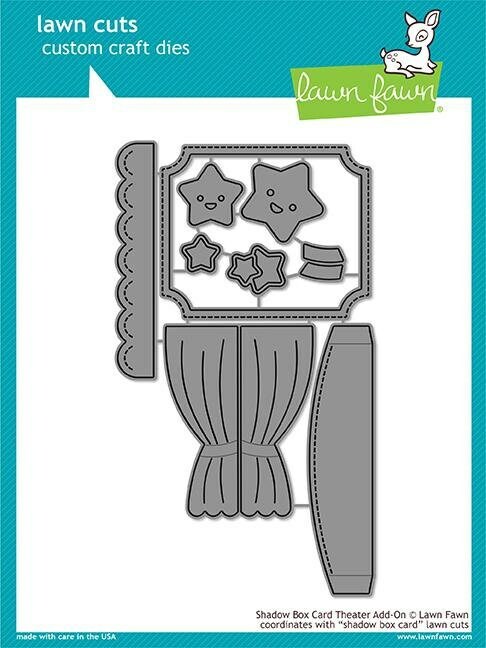 theater window opening: 2 ⅝" x 2 ⅛"
curtain: 1" x 2 ⅝"
scalloped border: 3 ¼" x 1/2"
assembled hill: 3 ⅛" x 7/8"
large star with face: 1 ⅛" x 1"
small star with face: 7/8" x 7/8"
double star: 3/4" x 5/8"
small star: 1/2" x 1/2"